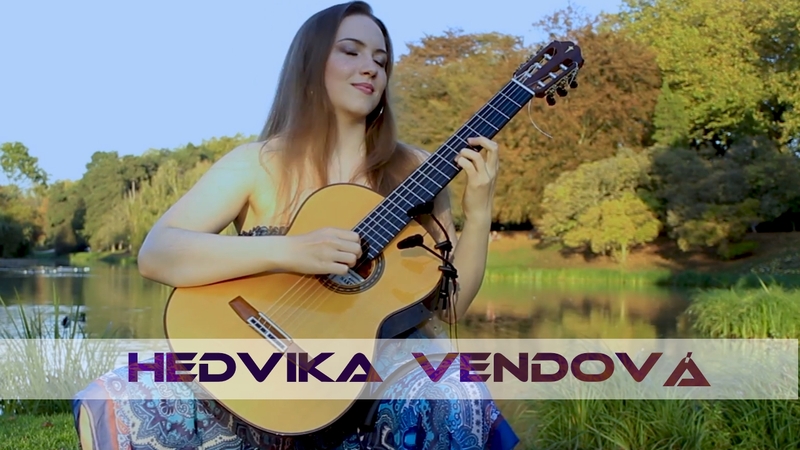 Hedvika Švendová began playing the guitar at the age of 4 with her mother, Hana Švendová, and soon started to play piano, flute and violin also. Later, she studied at the Elementary Art School in Choceň with Petra Poláčková and The Elementary Art School in Ústí nad Orlicí with Jiří Tomášek. Between 2011 and 2017, she studied with Petr Saidl at The Pardubice Conservatory. From her early childhood, Hedvika attended several master classes with the celebrated guitarists like David Russel, Aniello Desiderio, Alvaro Pierri and many more. She is currently studying in the class of Judicäel Perroy at The “École Supérieure Musique et Danse Hauts-de-France-Lille”, with regular master classes of Carlo Marchione and Florian Larous. Besides of receiving many prizes in guitar competitions, she is also a holder of some special awards, such as “The Young Talent”, awarded by the governor of the Pardubice Region, The Golden Nut award presented by The Czech Television and “Young Guitarist of the Year” Czech Republic. Since 2014, she has been endorsed by D’Addario strings and accessories. Hedvika also plays flute. Between 2015-2017, she performed regularly with The Czech Chamber Philharmony Orchestra Pardubice. Since 2011, she has received more prizes, including the 1st places at flute competitions in the Czech Republic and abroad. She has played concerts at some of the major guitar festivals : Mikulov, Křivoklát (CZ), Forum Gitarre Wien, Rust (Austria), Lanckorona, Tychy, Žory (Poland), Chengdu (China), Ligita (Lichtenstein), Bratislava (Slovakia), Balaton (Hungary) and others. The Chamber Orchestra of The City of Tychy. Nowadays she plays her custom made 8 string guitar by Petr Matoušek.